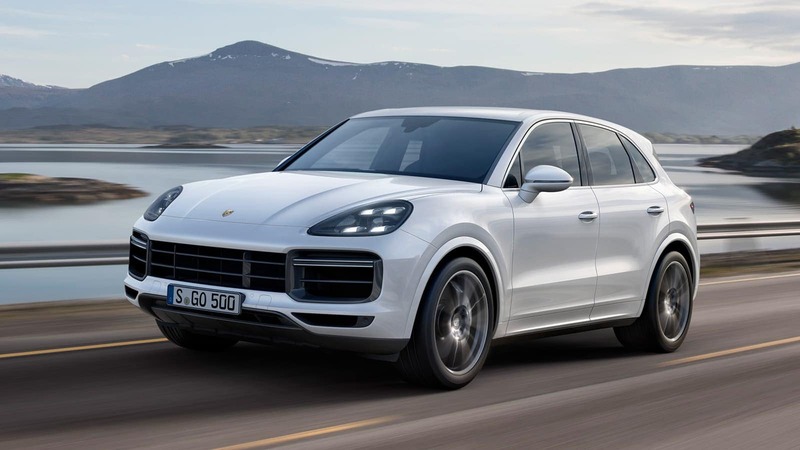 Building on the proven formula that began in 2003, the new 2019 Porsche Cayenne aims to push performance boundaries even further through new technologies that significantly improve on-road performance and comfort. 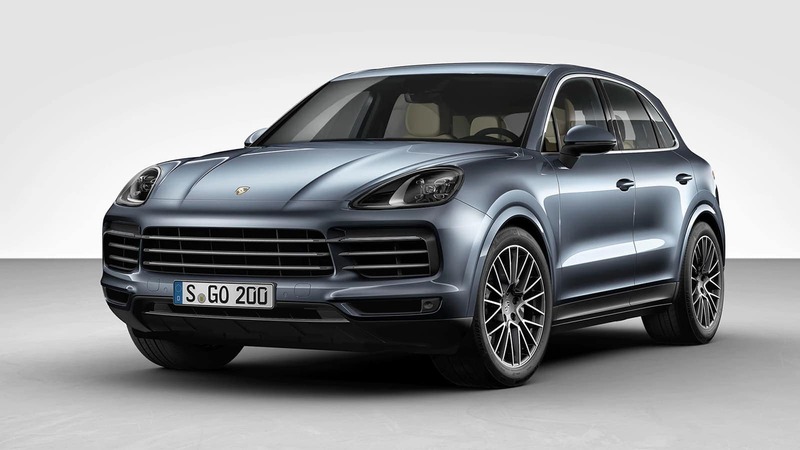 Porsche will offer two models at launch: the Cayenne and Cayenne S, both powered by turbocharged six-cylinder engines. A new Cayenne Turbo model will launch shortly after as well. The new Cayenne is now more athletic both in appearance and driving performance thanks to new styling cues and engineering developments. To complement its modern exterior, the interior carries many of the same design cues and new technologies that made their debut on the 2017 Porsche Panamera. 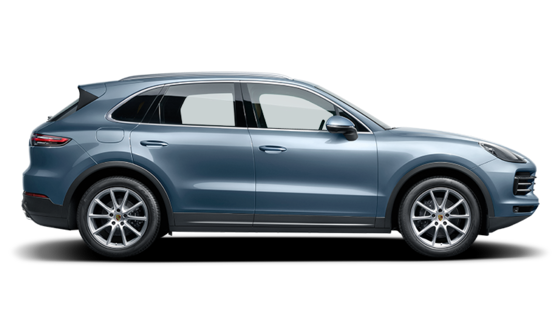 The new 2019 Cayenne uses a 3.0-liter single-turbo V6 making 340 horsepower and 332 lb-ft of torque, enabling it to accelerate from zero to 60 mph in 5.9 seconds (or 5.6 seconds with the optional Sport Chrono package). The Cayenne S uses a 2.9-liter twin-turbo V6 that makes 440 horsepower and 406 lb-ft of torque. It can accelerate to 60 mph from a standstill in just 4.9 seconds (or 4.6 seconds with the optional Sport Chrono package) and continue on toward a top track speed of 164 mph. 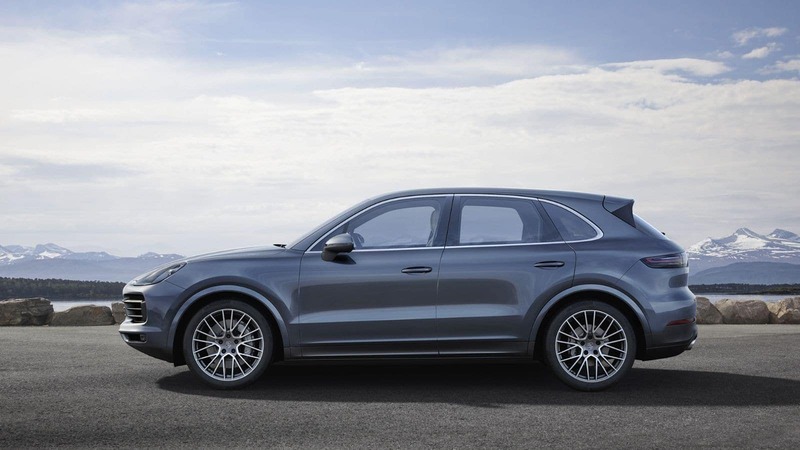 A newly-developed eight-speed Tiptronic S transmission is included as standard equipment across the Cayenne line. Fully variable Porsche Traction Management (PTM) all-wheel drive is standard on all Cayenne models. Porsche Surface Coated Brake (PSCB) technology is a world-first, offering a finish which increases friction values while reducing wear and brake dust. First employed in the 918 Spyder, the 2019 Cayenne features a redeveloped Sport Chrono Package with individually configurable modes. The newest version of Porsche Communication Management (PCM) adds a new level of connectivity. 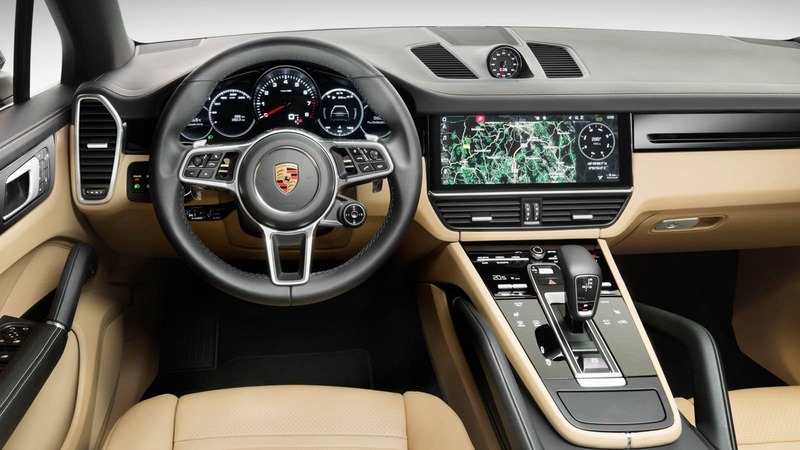 Launched last year with the new Panamera, the new display and control concept from Porsche is the 12.3-inch full-HD touchscreen. PCM also offers the ability for a great degree of customization by saving preferred settings and menu layouts including up to six individual profiles. New sound systems from Bose® and Burmester® provide a concert-like listening experience in the 2019 Cayenne. While maintaining a strong visual connection to its predecessors, the new Cayenne adopts new design elements that hint at how this generation builds upon its legacy. Enlarged air intakes in the front fascia along with new horizontal light edges create a wider, more athletic appearance. Cargo area volume with the rear seats raised has increased by almost 15 percent over the previous generation to 27.19 cubic feet. The available Porsche Dynamic Light System (PLDS) or LED Matrix Beam headlights enhance the visual appeal of the Cayenne while providing illumination with exceptional clarity. 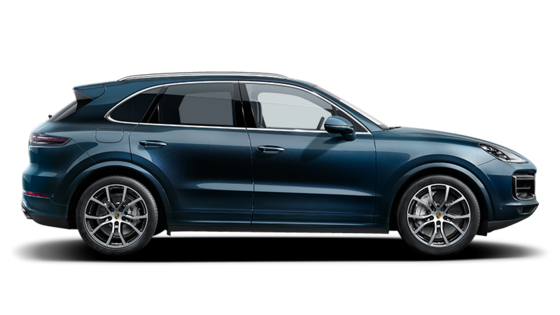 The new third-generation 2019 Cayenne Turbo raises the bar for performance in the segment with a twin-turbo four-liter V8 engine which delivers 550 horsepower. Improved driving dynamics are a direct result of new innovations which include new high-performance Porsche Surface Coated Brake (PSCB) technology, three-chamber air suspension, and staggered tire sizes. 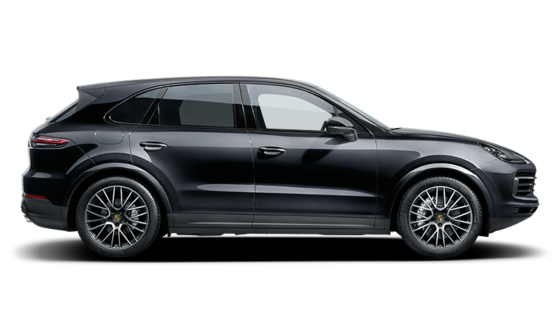 Representing gains over the previous generation, the new Cayenne Turbo can rocket from 0 – 60 in just 3.7 seconds with the optional Sport Chrono Package on its was to a top track speed of 177 mph. 18-way sport seats, seatbacks with integrated headrests, and standard heating functions for all outboard seats helps ensure both drivers and passengers can enjoy unparalleled comfort and support.